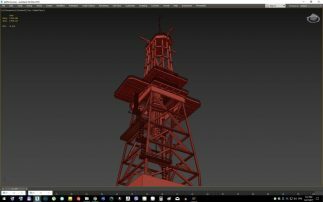 Home / Blog / How are O&G, Architecture and Real Estate industries leading the charge in 3D Services? Your clients are faced with information overload, and your brand isn’t standing out from the crowd. You’re on a deadline, and a tight budget. Your staff is overworked, and your clients are beginning to notice. As you know, competition for attention has never been more fierce. So what can you do to position yourself as an industry leader without straining your team or losing your clients? If you want to be heard, you must communicate in a way that’s clear, or there’s little hope for your company’s success. How can you deliver your concept in the most engaging, interactive, visually appealing, and cost-effective way? It’s time to start thinking in three dimensions. 3D renderings, 3D animations, and 3D illustrations are no longer the way of the future. Instead, they’re the modern method to cut through the clutter and get your message across. Companies are shifting from 2D to 3D design, and there’s no end in sight for this movement. 3D visualizations bring ideas to life beyond the capabilities of flat images or diagrams. The implications and advantages of our cutting-edge 3D technology are far-reaching across multiple industries and applications. On top of that, outsourcing options for 3D renderings are increasingly affordable. After all, outsourcing this work is cheaper than having an in-house design team and guarantees your work is produced by industry professionals who can give your project the attention it deserves. Beat your competitors to the punch and boost your brand’s visibility — regardless of the size of your business. Accurately visualize end results. You, your customers, investors, and leads can see, experience, and interact with your design before you build it. Improve efficiency. The accuracy of 3D graphics allow for faster product design, and adjustments can be made quickly and easily. Plus, it’s thousands of times more efficient to send clients 3D renderings than spend valuable time in meetings. Get your point across fast. Cut costs. Improve your design before you even invest in building and revising your product prototype. 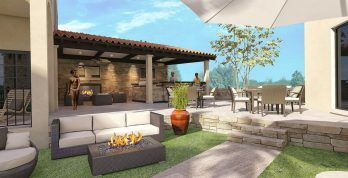 3D visualizations reduce the number of changes you’ll have to make after construction has begun. Increase retention. Studies have shown that students who watched videos with 3D animations rather than 2D animations had up to 100% better memory retention of the subject matter. Reduce errors. The accuracy of 3D renderings allows you to troubleshoot design flaws before they become costly mistakes. Communicate clearly. 3D allows you to show, not tell. Sharing renderings allows your entire team to get on the same page. Look better. Traditional photography has its limitations, but 3D renderings guarantee your product is always seen in the best light. Skip retouching, make changes easily, implement your ideal surroundings, and never worry about proper lighting. Impress clients. Less back-and-forth, clear expectations, convenience, and cutting-edge technology lead to happy customers. 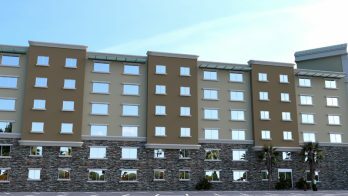 3D renderings can benefit businesses in nearly every industry, but in this post we will hone in on the oil and gas, architectural, and real estate industries. The oil and gas industry can benefit from 3D visualization services in nearly every department. 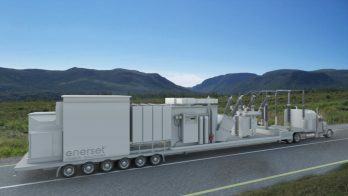 For example, oil and gas companies can reap the benefits of 3D renderings by using them on everything from explaining complex concepts to clients and investors to training workers. They can also be used to boost marketing strategies, model rig and equipment designs, and animate processes in training videos for staff. Here is a closer look at some 3D applications in the O&G field. Rigs, drills, and other equipment used in the oil and gas industry are expensive, and often dangerous. Flat images can only go so far in offering a clear picture of these assets. Therefore, 3D prototyping is the best way to properly communicate the details of your design. This allows you to work out the kinks and visually interact with your product before you even spend a cent constructing it. 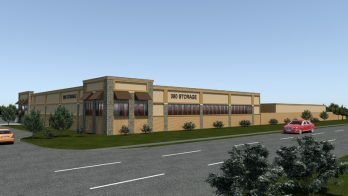 Professional design studios can create 3D animations to succinctly demonstrate complex concepts. A 3D animated explainer video goes miles farther in effectively educating about your topic. This makes your animation visually pleasing, informative, and clear. This is ideal for everything from training and recruitment videos to OTC trade show presentations and investor pitches. 3D architectural rendering and virtual tour services improve efficiency and accuracy by letting you see you work before it’s done. This is a huge time and money saver when it comes to architecture, construction, and real estate. The photorealistic detail of 3D renderings even let you add textures to your interior and exterior designs. This reduces back-and-forth with clients and the number of revisions, as well as saves time by replacing meetings with file-sharing. Troubleshoot structural or design errors before they happen with 3D visualizations. Architects and engineers can save valuable time and money by interacting with their designs before construction even begins. 3D visualizations allow you to step up your blueprint and involve clients early on before the changes are much more difficult and costly to make. See the results of your product before laying the foundation, and impress your clients. As a real estate agent, think about how much time you waste pitching to clients who have no intention of being clients at all. Imagine how much time you would save if you didn’t have to conduct onsite tours of listings. Instead, you could guide a tour by simply sending out a link that lets viewers explore the inside of a property on the market. This way, you get to vet serious candidates while weeding out the window shoppers. Plus, most Houston real estate agents don’t offer virtual tour services. Set yourself above the rest by offering this unique feature. Get ahead of the curve instead of playing catch up. Boost your business, streamline operations, wow your clients, and relieve your team by outsourcing your 3D design services. 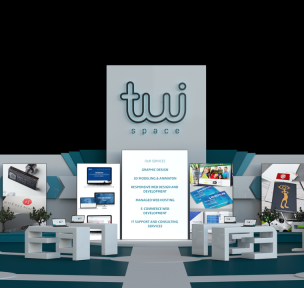 Regardless of your industry, TuiSpace’s 3D services give you the chance to turn your vision into a reality. Our experienced artists lift your ideas off the page with our state-of-the-art toolset. Join us at the forefront of 3D design and development with guaranteed affordable pricing, quick turnaround, and industry experience. We like a challenge, so don’t shy away from contacting us for your most ambitious projects. Click here to request a quote.